Primark have an ever increasing range of perfumes and lots of their scents seem to be inspired by other fragrances. This was definitely the case with their Love Rose Eau De Toilette which was a definite dupe for the Jimmy Choo perfume. I loved the scent and being able to wear it everyday for work without having to think about the cost and feeling like it was a waste. So when there was whispers that Primark had done it again and brought out a dupe for my all time favourite perfume I had to put it to the test. 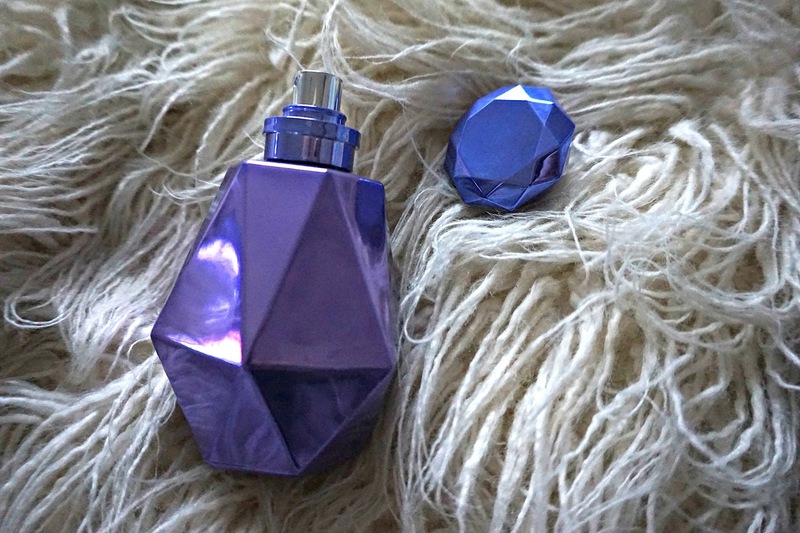 Alien by Mugler is a very unique, definitive scent and I'd say unfortunately Cosmic Moonstone is not a dupe. But it's a gorgeous fragrance in it's own right. It doesn't have the same rich scent; Cosmic Moonstone is definitely lighter. The real test was whether I got any compliments and my fiancé picked up on it straight away, the first day I wore it. So it might not be replacing my love for Alien but it's still a nice perfume. Again, like Love Rose the staying power isn't as good as the designer equivalent but when you're paying a tiny fraction of the price you really can't complain. It's the sort of perfume I wouldn't mind throwing in my handbag for topping up throughout the day. It suits me as a work perfume and though I won't be smelling as rich, woody and vibrant I don't mind for the price difference.